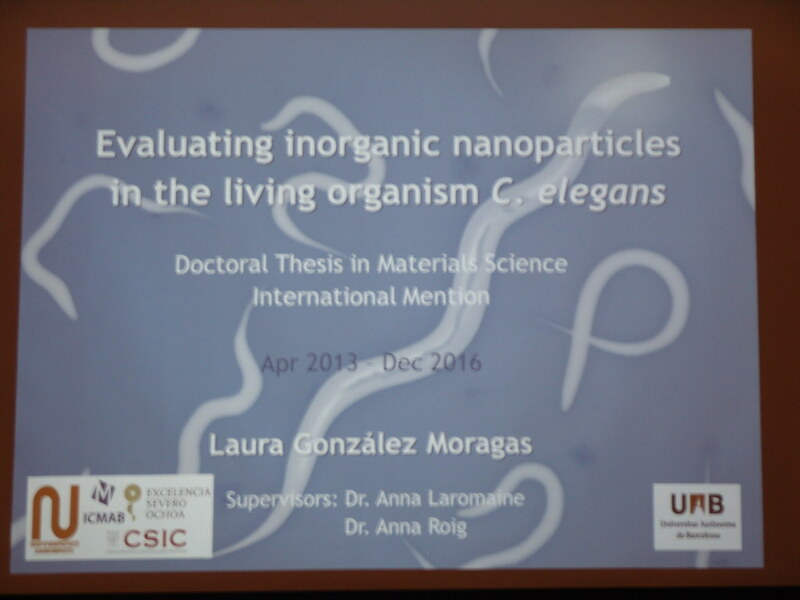 In this thesis, we have used the simple model organism Caenorhabditis elegans as an in vivo biological system to screen inorganic nanoparticles (NPs) with biomedical uses. In particular, we have assessed the behaviour of two types of particles with different composition, size and surface properties: iron oxide NPs coated with citrate and bovine serum albumin, and gold nanoparticles of two different sizes. We have studied their interactions with C. elegans including their uptake, fate, biological effects and NP-responsive molecular mechanisms, and compared our results with previous studies. To this end, we have combined toxicity tests, materials science and imaging techniques and gene expression analysis. We have been able to perform this biological evaluation in the synthetic laboratory where the particles were synthesized and characterised due to the advantageous experiments features of C. elegans. In summary, this thesis exploits the potential of C. elegans as a simple animal model to evaluate NPs in the initial stages of development and contributes to: i) a systematic and comprehensive evaluation of NPs in C. elegans, in particular studying the influence of NP properties (size, surface coating and core composition) on their in vivo effects, ii) extend the toolkit of techniques available to characterise nano-bio interactions in small organisms.